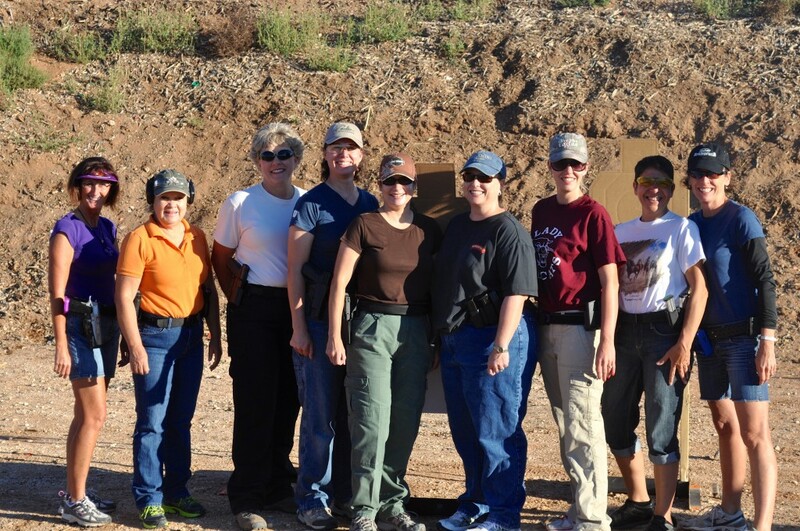 To ASSIST women with firearms safety and basic-to-advanced pistol instruction. To EMPOWER women with the knowledge & confidence required to shoot a handgun proficiently. To INCREASE the number of responsible women firearm owners. There are far too many women at the range watching their significant others. To ENCOURAGE women to get out of their comfort zone and regularly shoot the gun they already have or prepare to purchase a gun of their own. To EDUCATE women about the importance of firearms ownership and our Second Amendment Right. A large percentage of women are never exposed to firearms during their lifetime, which may lead to fears and assumptions. We want to bridge the gap and provide a friendly, knowledgable and supportive instructional environment. It’s a proven fact that women learn better from women. For many women it’s a difficult choice to enroll in a firearms class. Some arrive feeling nervous, and doubting their ability to shoot. What we have found over the decades is that women are extremely safe and accurate, but they often underestimate themselves. There is nothing more exciting for us than watching a student learn how to properly shoot her gun in a short 3-hour class. We LOVE to witness this transformation; when a woman goes from uncertain and afraid to empowered and confident! Teaching women to shoot – did we mention how rewarding it is? You are ready to begin competing in an action pistol match! HerHandgun.com firearms CLASSES and pistol MATCHES are operated by Debbie Keehart and Kippi Leatham. We compete in practical shooting events on a local, national and world-wide basis. We are both action pistol champions, and combined, we have competed in organized action pistol, rifle and shotgun matches for over 35 years. We are at a point in our careers where we want to focus on getting more women out to the shooting range! We have seen a recent influx of women at our local range, but they are usually watching someone else shoot. We think that if you are going to take time out of your busy day to go to the range, you may as well be shooting your own gun! If this concept of shooting (and no longer just watching) interests you, take a look at our CLASS and MATCH schedule. All of our scheduled events are for WOMEN ONLY! Our shooting environment is low-key, safe, supportive, and testosterone-free! We hope to see you sometime soon … at the range!